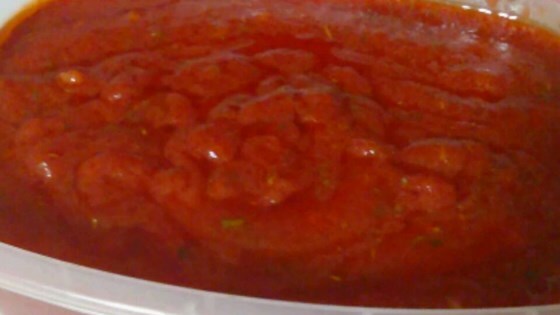 "A simple pizza sauce used by many pizzerias. The thickness of the sauce is regulated by the amount of water used; it should be somewhat viscous." See how to make a simple no-cook pizza sauce. Great Sauce! I used double the garlic for my garlic loving family. I did not have rosemary, so I used Italian Spices instead. I also only put 1 cup fo water. Goes with Jay's Pizza Crust. We've found it tastes much better if we make it the night before and let the flavors blend in the fridge overnight.